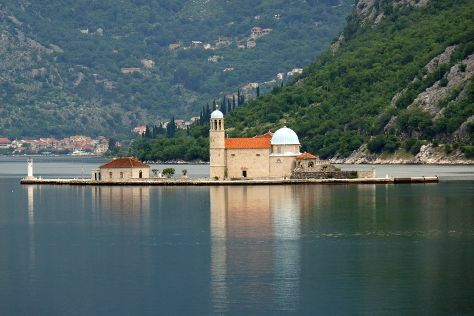 Get some cultural insight at Maritime Museum and Miki Travel Kotor. Kids will enjoy Milocher Park and Plavi Horizonti Beach. There's still lots to do: explore the activities along Bay of Kotor, make a trip to City Walls, step into the grandiose world of Kotor’s Castle Of San Giovanni, and admire the striking features of St. Tryphon Cathedral. For ratings, where to stay, traveler tips, and tourist information, use the Kotor trip generator. Istanbul, Turkey to Kotor is an approximately 6-hour combination of train, flight, and car. You can also drive; or do a combination of train and bus. Due to the time zone difference, you'll gain 1 hour traveling from Istanbul to Kotor. Plan for little chillier nights when traveling from Istanbul in July since evenings lows in Kotor dip to 20°C. Finish your sightseeing early on the 1st (Mon) to allow enough time to travel back home.